1987: PhD in Clinical and Biochemical Chemistry and Microbiology, University of Camerino (Dissertation of a thesis in Biochemical Genetics). 1st November 2001-31st October 2014: : Assistant Professor Researcher (Medical Genetics) University of Rome "Tor Vergata", School of Medicine. 1991: Visiting Researcher at the Lab. of Biochemical Genetics, Dept. Human Genetics, Children Hospital of Buffalo, Buffalo University (USA) for a collaborative project on genetic susceptibility to Diabetes and Obesity. June 2000: Visiting Researcher at the Experimental Medicine Unit (University of Wales, UK) for a collaborative project on genetic susceptibility of allergy and athsma). Study of genetic factors and their interactions in the susceptibility to multifactorial diseases and their role in the clinical manifestations and phenotypes; Pharmacogenetics and Pharmacogenomics; Genomic Biomarkers and their application in the clinical practice. Personalized Medicine. Teaching Genetics, Medical Genetics, Pharmacogenomics at different courses of the Faculty of Medicine and Sciences, University of Rome, “Tor Vergata” (teaching Medical genetics at different PhD, Masters, degrees courses), also in English courses (i.e. Pharmacogenomics Couse at the European degree of Pharmacy, English degree in Medicine ). 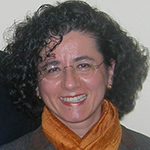 MEMBER of Italian Society of Human Genetics (SIGU): member of the Pharmacogenetics Working Party.